Takeshi ITO, Federico SCARONI, and Noriko MATSUDA(ed. 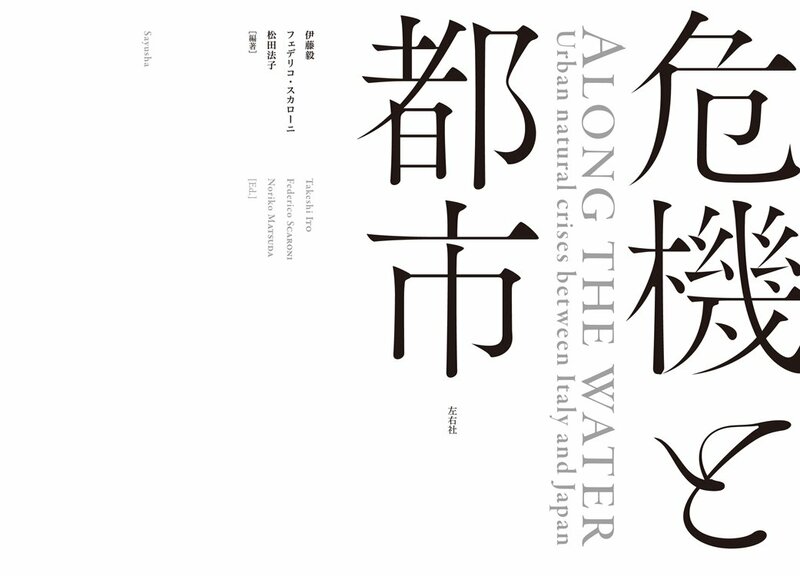 ), Along the water Urban natural crises between Italy and Japan, (Tokyo: Sayusha, 2017). Printed in English and Japanese. This book was edited with the purpose of grasping the history of disasters within Italy and Japan, from the viewpoint of comparative urban history. And it is an attempt to view such natural disasters not just as something indeterminate which ravages human dwellings from the outside --as has been done until now-- but also as the phenomenon of humans building dwellings together with nature, grasped altogether as an indivisible element. This work is divided into three main parts. In the first part, we have gathered a number of studies dealing with our “theory of cities in crisis” (which incorporates a comparatively long historical timespan), as well as the urban histories of Rome, Kyoto and Milan. Each study, in its own way, will cross-examine the interactive relationship between disasters and the formative process of cities, by starting with the so-called factor of “time/timespan”. The second part consists of a series of enquiries based on the spatial expanse of cities and disasters (i.e., their “territory”), re-interpreting it from the viewpoint of the coexistence of disasters and dwellings. Starting with an academic study that archaeologically corroborates the disaster extents and recovery of the Tohoku region after the “Jogan” earthquake (i.e. the Sanriku Earthquake, which took place in 869 AD, roughly 1000 years before the Great East Japan Earthquake), the subsequent papers deal with subjects such as: the relationship between the vicissitudes of river floods in the Toscana region and human society between the medieval and modern periods; or the reappraisal of dynamic ground environments in which human settlements were established, namely the floodplains, marshlands and sandbars of the Kambara Floodplains in Niigata between the sixteenth and nineteenth centuries.